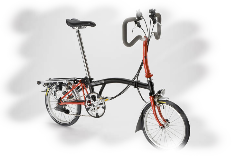 A key feature of the Brompton is the compactness and practicality of its fold. 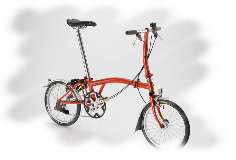 With a little practice, this is achieved without any difficulty in 10 - 20 seconds. 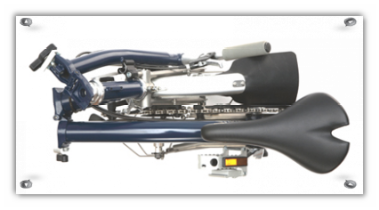 The dimensions of the folded bike are: 585mm high x 545mm long x 270mm wide (22.2" x 21.5" x 10.6"). 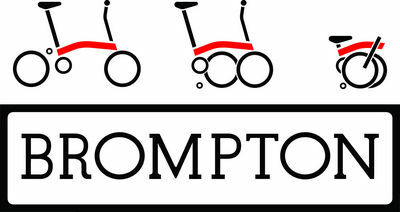 Click on Brompton Logo below & Build your very own bespoke Brompton...Once you have been given a build code simply email that to us & we will do the rest.